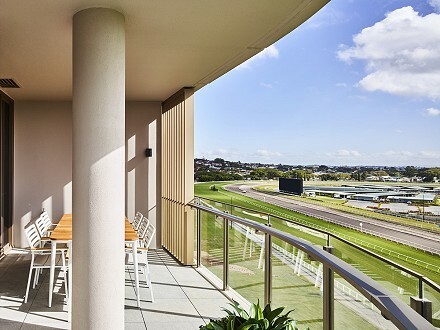 This massive sub-penthouse in Ascot House occupies the entire eastern wing of level 8, enjoying both a northern aspect over the racetrack and a southern aspect over green, leafy Ascot and the Brisbane CBD. Mirvac and the Brisbane Racing Club are pleased to introduce Ascot Green. A rare opportunity to live alongside the iconic Eagle Farm Racecourse in Ascot, one of Brisbane’s most prestigious suburbs. The first stage of Ascot Green is Ascot House, recently completed and ready to move into today. Ascot House offers residents the chance to be apart of racing heritage and revel in the expansive open spaces.